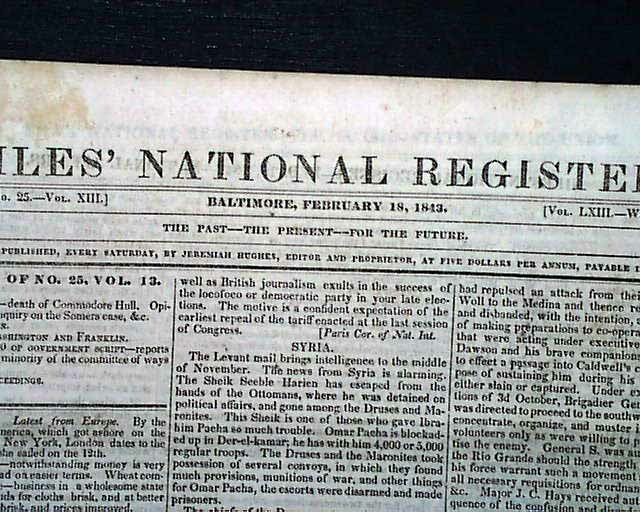 NILES' NATIONAL REGISTER, Baltimore, Feb. 18, 1843 The bkpg. 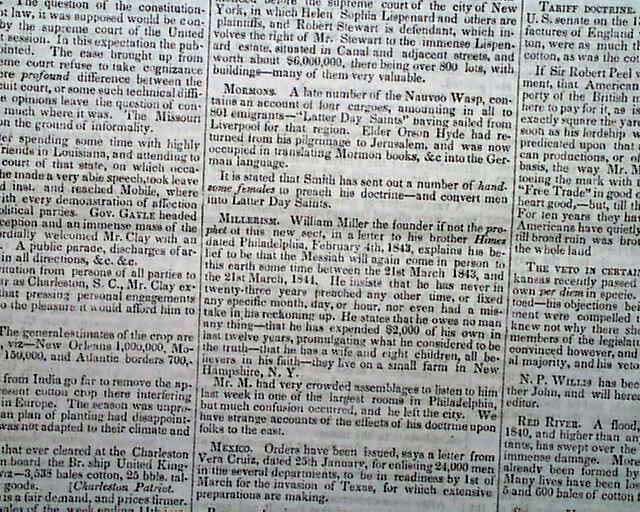 has a brief item: "Mormons" noting: "A late number of the Nauvoo Wasp contains an account of four cargoes, amounting in all to 801 emigrants--'Latter Day Saints' ' having sailed from Liverpool for that region..." with a bit more, and ending with: "...stated that Smith has sent out a number of handsome females to preach his doctrine--and convert men into Latter Day Saints." 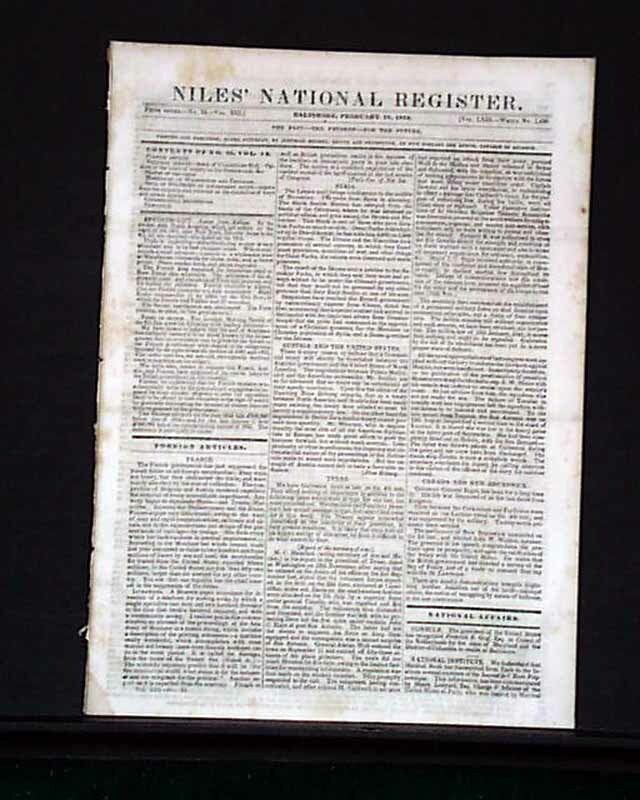 This is followed by an item on: "Millerism" notes that: "...the founder, if not the prophet of this new sect...explains his belief to be that the Messiah will again come in person to this earth some time between the 21st March 1843 and the 21st March, 1844..." with more (see photos). Much other news reports of the day including much from Congress. Sixteen pages, 8 1/2 by 12 inches, lite scattered foxing, very good condition.